England have opted for a blend of exciting young talent and senior international experience for Sunday's match against the Barbarians at Twickenham Stadium. There are 11 players capped at senior level in the 24-man squad, with Saracens-bound fly-half Charlie Hodgson the most experienced and the likes of Harlequins' Ugo Monye, Gloucester's James Simpson-Daniel and Bath's Matt Banahan providing the cutting edge. But the overall accent is firmly on youth in a squad with an average age of 24 years and two months. Eight are graduates of the England U20 sides that reached IRB Junior World Championship finals in 2008 and 2009 and there are two 20-year-olds in the shape of Quins props Joe Marler and fellow front-rower Kieran Brookes from Newcastle. There is also a potential first appearance in an England shirt in the 15-a-side game in store for Exeter Chiefs flanker Tom Johnson while eight players were in European Cup final action for Harlequins and Northampton Saints over the weekend. Leicester Tigers and Saracens players are unavailable for this game due to the Aviva Premiership final taking place at Twickenham Stadium the previous day. The side for the non-capped match will be prepared by the England Saxons head coach Stuart Lancaster and assisted by Jon Callard and Simon Hardy. "It's a great opportunity for all the players who are looking to force their way into Martin Johnson's plans for the World Cup and those who will go on to defend the Churchill Cup with the England Saxons next month," said Lancaster. "We face a very big challenge against the Barbarians, who have a very experienced squad in terms of their average age and number of caps. But there's a great deal of quality in the England system at the moment and a lot of these young players will get a chance to benchmark themselves against the best. We've seen that in the way the likes of Ben Youngs, Courtney Lawes, Alex Corbisiero have taken their chances recently. 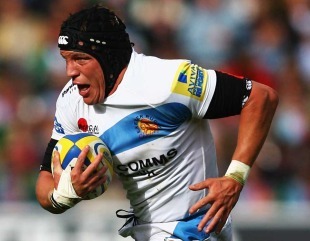 "A lot of the players have played in big games recently both in Europe and the Aviva Premiership. If we combine them with some of the more experienced players like Paul and Charlie Hodgson, Ugo Monye and James Simpson-Daniel, it should be an exciting combination." The Barbarians, who will include the likes of Mathieu Bastareaud and Frederic Michalak (France), Joe Van Niekerk (South Africa), Carl Hayman (New Zealand), Martyn Williams (Wales) and Sergio Parisse (Italy), are due to announce their squad later today. England, who train at Bath for the early part of this week, are due to name their starting line-up on Wednesday.